There is no shortage of literature available on the Christian New Testament. Whether you peruse Amazon or wander through your local bookstore, there is no denying that scholars, pastors, and writers aplenty have published their thoughts on the history and meaning of the New Testament. How do we make sense of all this literature? One way involves the consultation of conglomerate sources: those volumes written from a variety of perspectives by a number of scholars whose insights balance and inform one another. The Fortress Commentary on the Bible: The New Testament (Minneapolis: Fortress Press, 2014. 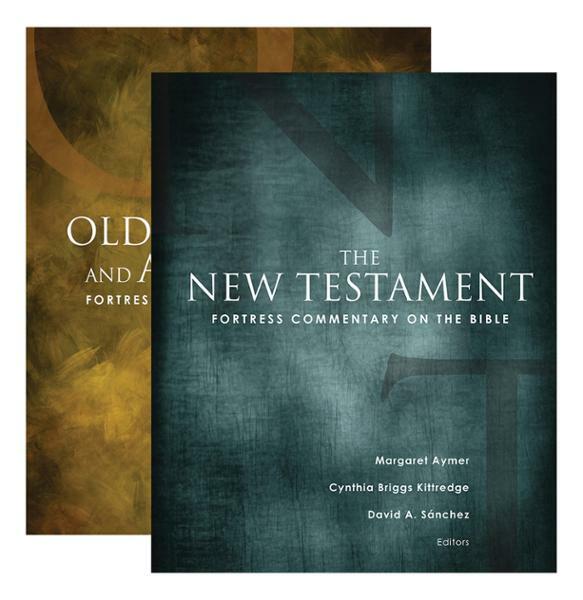 771 pages), edited by Margaret Aymer, Synthia Briggs Kittredge, and David Sanchez, stands as an excellent example of a New Testament reference work worth engaging. Designed for general readers and students of the Bible, the Fortress Commentary on the Bible—which comes in two volumes—intends to offer readers insights valuable to those interested in both the new and old. That is, this commentary purposefully engages both the “historical” side of the New Testament—the ancient questions and contexts which gave rise to these writings—as well as the “contemporary”—how modern day readers may understand and appropriate the writings of the Bible. To these ends, a variety of contemporary approaches are utilized, including feminist, social-scientific, racial, minority, postcolonial, and ethics-based perspectives. These contemporary concerns are blended with historical evidence, biblical scholarship, and traditional Christian theology to offer readers a veritable smorgasbord of information about the context and writings of the New Testament. Especially noteworthy are the introductory essays for this commentary, which discuss reading the New Testament in the contemporary world, negotiating the Jewish heritage of early Christianity, the community context of the Christian Diaspora, and the apocalyptic legacy of early followers of Jesus. Of great importance for non-specialist readers, this volume (especially Lawrence M. Wills’s chapter) does an admirable job signaling the complexity of historic data and its interpretation vis-à-vis the New Testament. Yet, while the Jewish, Diaspora, and Apocalyptic elements of early Christianity are well attended to, the textual tradition, Greco-Roman influences, and canonization processes of the New Testament are effectively ignored in this volume. Obviously, no one book can include everything; however, the introductory essays would have been better served paying additional attention to history and biblical scholarship on these important issues. Overall, although some articles seemed to be more interested in reading New Testament literature for the sake of the 21st century than understanding these texts on their own terms before theologizing from them, on the whole the introductory essays are balanced and insightful. The commentary comes divided by genre: the Gospels, Acts, Paul, and Hebrews, General Epistles, and Revelation each receive their own introductory essay and then each book is treated in their own chapter, the exception to that rule being the shorter epistles, which are often grouped together. The introductions to each genre are basically extended essays on a topic related to the commentary. These are typically helpful, though not without quibbles. For example, the essay on “Jesus and the Christian Gospels” affirms the “Four Source Theory” for the gospels without much discussion or contextualization of that issue. The introductions to each book vary in length and quality, but generally offer appropriate historic and literary contextualization, and they do a fine job in setting the stage for the commentary which follows. Some introductions, like that of John, are more “technically” oriented—broken down into subsections on various issues—than others, but each introduction stands as a solid first encounter with the text. Additionally, chapters close with a “Works Cited” selection which provides resources for further investigation. As for the commentary itself, every chapter comes broken down into thematic sections of varying length. Each chunk of text is then discussed from three perspectives: the Text in Its Ancient Context, the Text in the Interpretive Tradition, and the Text in Contemporary Discussion. For example, Jamie Clark-Soles’s chapter on 1, 2, 3 John includes a section on 1John 2:18-3:24 followed by a section on 1 John 4:1-6. Within each of these “thematic sections” there are considerations of ancient Context, interpretive tradition, and contemporary discussion. The length of these sections varies for each passage. For example, since 1 John 2:18-3:24’s concerns with love as ethical exhortation requires some detailed explanation, that section’s insights into the ancient context are considerably larger than 1 John 4:1-6’s consideration of ancient context. Likewise, this situation is reversed for the contemporary discussion of these passages, where the application of love for the poor runs somewhat shorter than considerations of Incarnational theology and thinking about creation language in contemporary culture. This triple emphasis on ancient context, interpretive tradition, and contemporary meaning is what really sets this commentary apart from other similar length treatments of the New Testament. These foci enable readers to quickly get a sense of the numerous contexts in which the writings of the New Testament have operated within, advocating a holistic interpretive matrix which allows past and present, author, text, and reader to all influence meaning and interpretation. That being said, for those studying the New Testament from a historical or literary perspective, the Fortress Commentary on the Bible: The New Testament is a bit lacking, missing both the polish and attentiveness of other works. For those approaching the New Testament from a theological or expository perspective, however, this volume offers much of value, especially through the commitment to ancient, interpretive, and contemporary contexts. In final review, this commentary’s goal of providing an accessible introduction to the context and writings of the New Testament for a general readership and for the classroom setting have been more than accomplished. This introduction to the New Testament comes highly recommended for classrooms and those interested in theology of the New Testament, and also makes a valuable resource for pastors and New Testament scholars more generally. 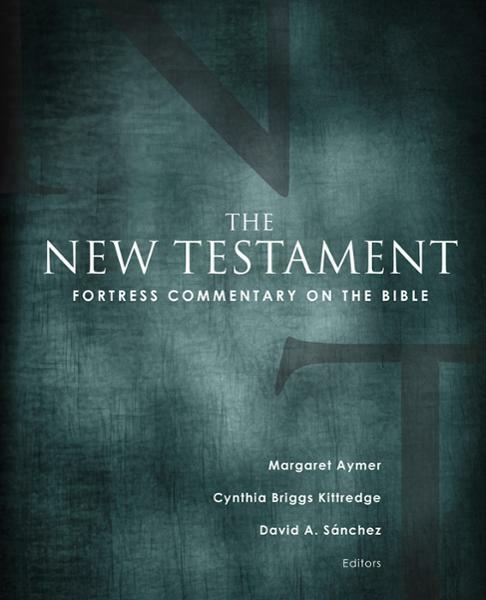 For this reader, the Fortress Commentary on the Bible: The New Testament holds a place on my reference bookshelf as an important voice worthy of consultation. I received this book from Fortress Press in exchange for my honest review. All opinions expressed are my own.